It was -26 when we woke up so we waited until 10am to hit the trail. Needless to say there weren’t many sleds out this morning. We got gas and ate breakfast, then headed north on trail 1 towards Bergland. 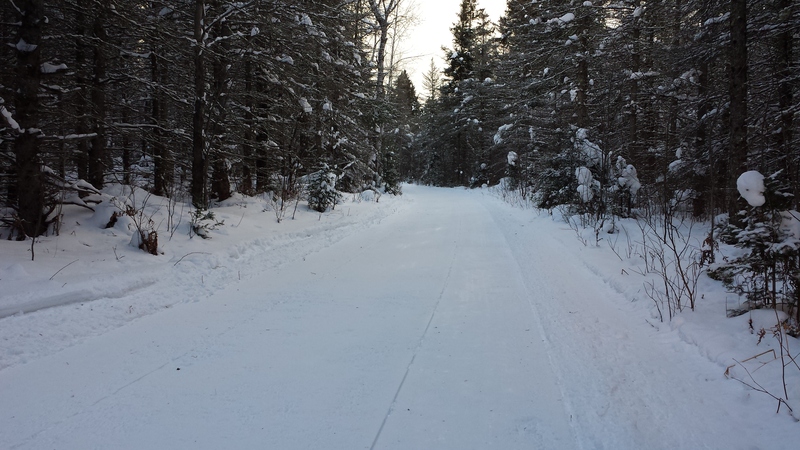 Trail 1 was in great shape and Lake Gogebic had plenty of snow on it. After a lunch stop at Bergland Bay Bar we dropped by Timberline Sports (ski-doo dealer). Then we headed south on Lake Gogebic, got off the lake at Root Cellar and took 13 south to trail 2. 13 was in excellent shape (especially for this time of year), lots of snow, very flat and not much dirt mixed in! We made our way to Rogers Bar and got a drink. After that we took trail 2 west to trail 1 south back towards home. Trail 2 was also in excellent shape! We took off at 1pm and headed towards lake Gogebic. We stopped for gas in Presque Isle, but they were out of premium gas so we had to call the Marenisco gas station to see if they had any. Luckily they did. Trail 6 into Presque Isle had it’s usual ruts from traffic, but overall it was in decent shape. Trail 1 to Marenisco was also rutted up from traffic, but we passed the groomer, then it was great! After getting gas we made it to Gogebic Lodge to watch the Packers vs Bears. When the game was over we took the same route back. The lake has snow on it, but some spots are down to the ice due to the wind drifting the snow away. We got lucky again and followed the groomer for quite a ways. Our tracks were the first ones since the groomer went through, needless to say it was excellent! As I write this, the temperature is -7 (without the wind chill). Today was my first ride of the 2013-2014 season. It was short and sweet! My Dad and I took my daughters for breakfast in Presque Isle at the Last Wilderness Cafe. We rode trail 6 East all the way to town. There is plenty of snow (over 12″) and the trail was groomed! 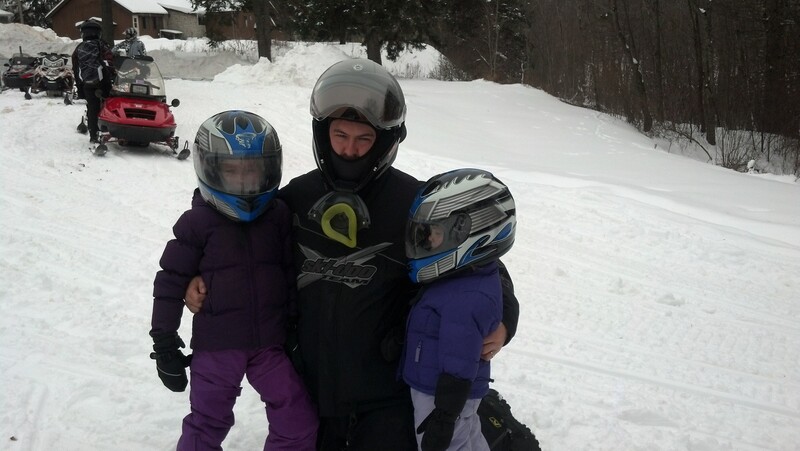 We saw a LOT of traffic on the trail (around 40 sleds in 7 miles) going to town and 30 sleds on the return trip. There are definitely a lot of riders out this weekend, so keep your eyes open! On the way home the trail was beat up pretty good, mainly due to the traffic. 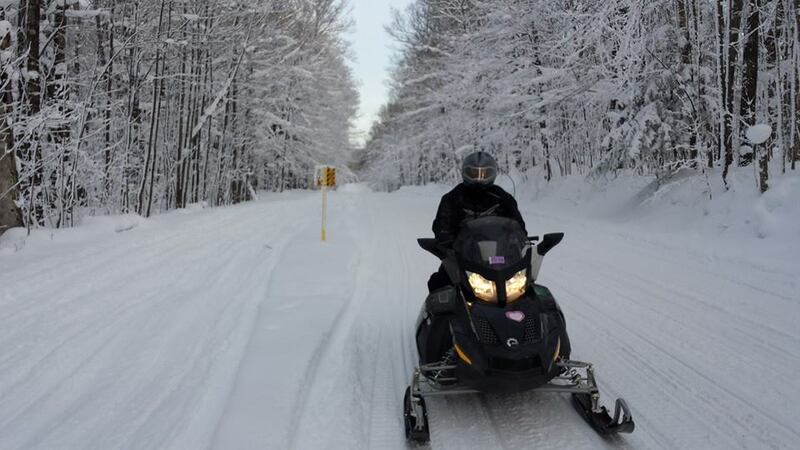 You are currently browsing the Snowmobile Trail Conditions blog archives for December, 2013.